This limited edition, introduced last year, is a spinoff of the 107 line that debuted in 2010 to celebrate the storied history of the oldest cigar manufacturer in the Dominican Republic. It sports a Habana-seed wrapper grown in Ecuador around a Brazilian Mata Fina binder and filler tobaccos from Nicaragua and the Dominican Republic. The Corona Gorda (6 x 47, $10) is one of three sizes. In addition to solid construction, you’ll find a medium-bodied, well-balanced profile of dried fruit, citrus, sharp cedar spice, and coffee bean. 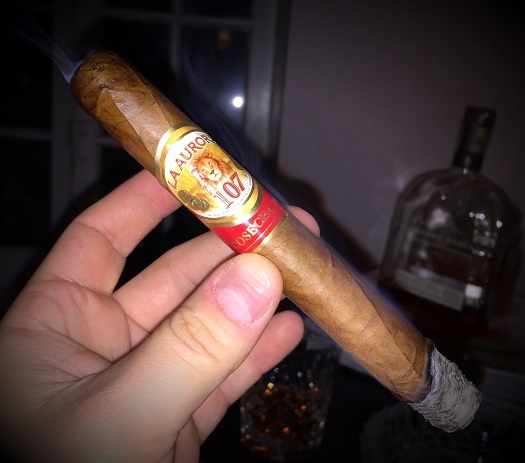 My colleague recently reviewed this same cigar and liked it; I think I enjoyed it a little more.